It happens to me all the time in dreams. I can’t get the car to go forward. As hard as I try it sticks in reverse. I can see the traffic behind me ready to catch up faster than would happen normally, given we are each travelling towards each other and there’s nothing I can do to stop my car from careering backwards. Invariably in my dreams we do not crash. The cars approaching the back of my fast advancing car always manage to change lanes, but I am still stuck going backwards. Sometimes I can even get my car into a sort of idling position, but to get it back into forward motion is the hardest thing of all. The roses outside my window have all turned brown and soggy. They have lost their lustre. Two weeks ago I had a visit from the local Boroondara council inspector. Someone had complained that the roses that line our front fence were a menace. We must keep them trimmed to the fence line. We try, but it is easier said than done in this weather, especially at the moment when we have had unseasonably heavy rains. The rains and the heat send the roses into a growth frenzy. I pruned them myself last week. I took the secateurs to all the long tendrils and chopped them off. Yesterday I noticed they were already sneaking back. Those red tender tendrils still bearing thorns just waiting to scratch the unwary passer by and send my complainant back to the council. The Day of the Triffids comes to mind. I read it first as a school girl. 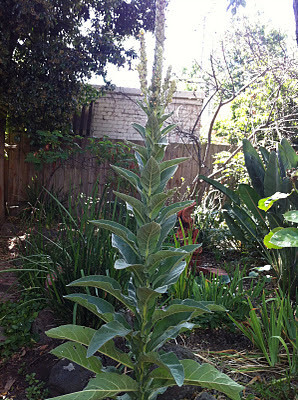 Whenever strange plants pop up in our garden, my husband and I call them triffids. Dangerous things those triffids. A ‘triffid’ that has sprung up in the back of our garden. As I recall, the tendrils of the plants made people go blind. The triffids took over the world in much the same way the birds took over the world in Daphne du Maurier’s story of the same name, The Birds. My heart shudders even now as I think back to the story which I also heard as a BBC audiotape. It was even more frightening to hear the story than to read it. I could not bring myself to see the film. The story ends dreadfully with the whole of London overtaken by birds and only one family barely surviving, bailed up in their house while the birds, the ferocious birds of prey, peck away at the walls and windows to get in and attack the family. These birds also go for the eyes. Birds go for eyes and heads. In October, in springtime, I have to be careful when I hang out the washing in our back garden. The magpies swoop down and go for my head. They are trying to protect their young. I look up and shake my fist at the sky. I tell them I am not out to hurt their youngsters and they in turn should not hurt me, but still I hear them from time to time, the long low whooshing swoop, the flap of wings. But they have never yet made contact with my head. As a child I often walked through what we then called the Magpie Park for the very reason I have described. A mother magpie once drew blood. I can still see the streak of red in the blond hair of the schoolgirl who had dared to take off her straw hat and left herself defenceless. What grim thoughts I am having today. Must be a reflection of my dreams, stuck in reverse. I cannot get the car to go forward as I prepare to die. my wished for response to the complainers about the roses was less than graceful so i have held it and breathed it out the back door!!! at what point do some people leave behind their sense of rightness and joy?!!! It seems rather pathetic to be complaining about roses being a menace. I would be thrilled to see them growing over the fence but then that is why I live in the country. Those kind of dreams can be so frustrating with the not getting anywhere no matter how hard you try. It feels like your summer, like ours, is also stuck in reverse! We are having constant rain too, and everything is growing apace. I've never heard of anyone dreaming something like that. Sounds dreadful. Hope it doesn't happen again – or, that you are miraculously able to go forward….varoom!! Sorry that your neighbours couldn't enjoy your roses. Nature being what it is, life and growth can sometimes appear messy, disorganized, even dangerous. I hope your reverse (dare I say perverse) dreams get turned around. Same with your life, too. The Day of The Triffids was made into a movie and screened last year on tv, i can't for the life of me remember which channel. Alfred Hitchcock's movie version of The Birds is quite scary and haunting. Complaining to the council about your Roses hanging over the fence, obviously these complainers have nothing else better to do, i'd blow 'em a raspberry and call 'em party poopers :-). I read several of John Wyndham’s novels when I was a boy: The Kraken Wakes, The Midwich Cuckoos, The Chrysalids (my favourite at the time) and The Day of the Triffids. I’ve seen three adaptations of The Day of the Triffids: the 1962 film, the 1981 television serial and the recent 2009 version. And I’ll happily watch the film they’re talking about making if it ever comes out although not in 3D which I really can’t see the point of. I watch anything remotely science fiction and it has to be pretty bad before I’ll turn it off. I was never that interested in the plants though. It was the end of civilisation scenario that piqued my interest and I’m especially drawn to films and television series that deal with the plight of people having to reboot civilisation. I was an avid fan of the 1970s serial called Survivors which was also recently remade. I watched the remake, of course, but I have a real soft spot for the original. I watched a particularly good film over the Xmas holiday called Perfect Sense which I’m recommending to everyone. Set in Glasgow in shows what happens to society when, one by one, people begin to lose their senses. I found it very moving. The reviews have been mixed but, possibly because of the setting, it really struck a chord with me. Magpies we have aplenty in fact it was a magpie we have to thank for driving our bird to us. One day Carrie heard this kerfuffle outside the living room window and there was a dirty great magpie harassing a poor cockatiel. She scared off the magpie and managed to coax the cockatiel inside with a piece of lettuce as I recall which amuses me because he’d turn his beak up at a piece of lettuce nowadays—he’s become quite spoiled. I’ve never heard of them attacking people though. As I’m sure I’ve mentioned I’m not into gardening. I imposed two conditions on Carrie when we were looking for this flat: 1) we should each have our own office, and, 2) no garden. Other than that I left it to her and the first time I stepped inside the flat was after we’d bought it; I left the whole thing with her. I have always detested gardening and hated the fact that my father died before my mum because that meant for several years I had to get the train down to her house and do her garden which I did—you know how dutiful I am—but there was no joy in it. Carrie and I were talking about where we might move after here. At the moment she can still handle stairs but I expect we’ll need to think about a ground floor flat in the years to come and, of course, they often come with a garden. She says we can get someone in to do the gardening but I resent paying for something that I don’t need and have no interest in. My dad, who worked constants night shift, would lie out all day in the sun and we were tasked with making sure he turned over periodically. Why he never died of skin cancer I have no idea. Being a redhead I’ve tended to avoid the sun. Not as a kid. As a kid I just went out there, got burned to a crisp, suffered through the peeling skin and got on with it. But once I grew up I preferred not to go through all that and of course now it’s downright dangerous to go out in the sun. When did that happen? That’s the kind of stuff you read about in science fiction stories, isn’t it? How sad when something as glorious as a climbing rose is the subject of complaints. I am also thinking that, in the same way as people with anorexia limit their food and exercise to excess because it is something that they can control, that your complainant must feel that their life is spiralling out of control. Sad. Here the sun is shining but everything is growing fast as well. Our roses lost their petals but new flowers have come up. I have seen the movy the birds and can clearly remember the images. A frightening film. I read The Day of the Triffids when I was a boy. It was quite a creepy novel. Errk,,, about the car in reverse dream. Your thesis must be close to coming back — or in the next couple of months? It's a problem in this city… the footpaths are so close to the fenceline and getting tangled in the briars is a risk. Perhaps the complainants are envious? I hope your dreams are soon moving you forward instead. I wondered what sort of person would be mean enough to complain about roses, but then I read about the tendrils, so it's a rambler rose, not a bush. Ramblers do get very long branches with many big thorns, so you would have to keep it clipped to the fence line. There is one in the backyard of the house where my younger girl lives. Cut to the ground one year, it was back up and rambling all over the roof within 18 months. Thanks for breathing all that ill will away, Steven. For what else better is there for it, if we are not to take it in, like toxic fumes into our lungs? I try to keep breast of those thorny criticisms and move beyond them, but it can be hard work. It's the relentlessness of the not moving forwards in some of my dreams, Rubye Jack and the sense that at the time it seems so real. But then when I get into my car during waking hours and it moves forwards as it should, all seems better again. It seems for many of us in many places with the vagaries of climate change and all those other unintended consequences of our lives, the weather has gone into reverse as you say, Juliet. Varoom, Liv. Oh thati t were so easy to zoom ahead. Maybe soon. But such reverse dreams are not unusual for me, though I also have their emotional opposites, when I can actually – in my dreams that is – take off from the ground and fly. Needless to say, those dreams are far more pleasurable. It's not the roses my neighbours complain of, Rob-bear, it's their thorns and creeping tendrils. The only way clear of it is to respect their wishes and keep the plants well pruned, that way may be my miseries might more likely be reversed, at least that aspect of it. The council fellow seemed sympathetic to us when e visited, Windsmoke, but he was, as he put it, just doing his job, and following up on complaints. I'm sure it'll be okay in the long run. Our roses are not that lethal, not quite triffids, despite my fantasie. Thanks, Windsmoke, for your support and shared indignation. Films about the horrible things that might happen to us over time, Jim, also fascinate me if I can stomach them. I haven't heard of the film you mention but I shall look out for it. It's hard as our sense of hearing and of sight of taste etc deteriorate. Imagine losing all your senses. How would we negotiate ourselves through the world? As for gardens, I'm not the resident gardener here and I've never been much into gardening, though I enjoy the finished product of other people's endeavours. My husband loves to garden or should I say once loved to garden when he had time but these days we need help as neither of us has the time or the inclination. In any case I prefer an unruly garden. I do not enjoy manicured ones. I suppose that's the way I like most things in life, a little disorderly. You need not get a garden if you don't want one. At least here in Australia there are flats and apartments whose gardens are attended to by the body corporate though I suppose you have to pay something towards the cost of that. Nothing's free. I too enjoyed several other of John Wyndham's books though I can scarcely remember any of the details. Funny, as a youngster I liked to read scary things, including Edgar Allen Poe, but not today. Today I do not want to feel too terrified by anything. There's enough terror around in real life. If your car was giving you problems in real life, I could fix it. Otherwise, it nothing changes maybe you could face the car the opposite direction you wish to travel and make sure your buckled up. As vehicles handle slightly different if the steering tire are positioned in the rear as opposed to the front. Just remember that it takes 30%less left right pivot movement of the wheels when positioned in the rear instead of the front. Magpies know your face, Elisabeth. They will know that you don't attack them, but they may be confused as to your intentions by your brandished fist. 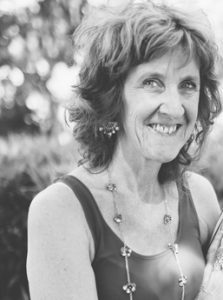 It is easy to befriend them: they are highly intelligent…(see the wonderful http://www.une.edu.au/staff/gkaplan.php) Gisela Kaplan has studied them for years, and her research and findings blows one away. And their song is one of the most beautiful bird songsin the world. Enjoy. BTW, your triffid looks very like mine. If so, it gets a purple spire of bloom. I have been told that it is a weed, a solanum variety?, possibly spread by cockatoos. I think January is a difficult month Elisabeth, even in the comparative paradise of the southern summer – as opposed to the grim grip of winter. Children prepare to return to studies, the propellant of Christmas has faded into extra inches around the middle (not in your case of course!) work goes on in a sluggish way. I always feel there is a pressure to make dramatic plans, the clean sweep, the brilliant new idea, but inspiration does not always visit according to external whims. Your driving dream is uncomfortable. I wonder if it is related to looking backward over one's life, remembering things – you say you cannot get the car to go forward as you prepare to die. Literally I could assume this is in your dream world, with the lethal fast approaching cars, however I suspect preparing to die is not something that is straight forward, and perhaps 'going in reverse' is exactly what we do. 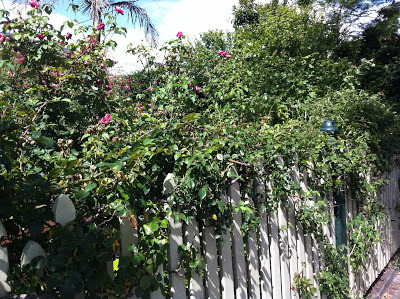 As for those pesky roses and the complaining passers-by: some footpaths are narrow and some planting does overhang in a menacing way, and rose thorns can be nasty – I suspect (rather like life) the more that you prune the fence side, the more the roses will tend to sprout along that side. Perhaps they need a drastic hack back? If I was around the corner, I would trim them for you, with joy. I wouldn't dare to guess the motives of my complaintant, Elephant's Chil, but maybe there is a genuine feeling of threat from those plants for some people. I once walked into a low hanging brach and it shocked me horribly. Not that I sought then to hack it down but I recognise how awful the unexpected hurt can be, along with the wish to retaliate or get some sort of justice. As I understand Marja, the roses that bloom in our garden tend to come in two major burst, one in spring, around end October -November and then again towards the end of summer in February- March. We are yet to have the second blooming and after that their growth slows down over winter. I hope my dreams start to propel me forwards soon. Thanks, Marja. A child's view of the Day of the Triffids read when it was first written probably offers the best response to the book and maybe even later to the film. We were meant to feel horrified I expect. I'm mindful of the thesis, Christine, more and more as each day passes. In three days time three months will have passed since I submitted. I'm counting on mid-March but the verdict might arrive earlier. Perish the thought it should take longer, but I've been warned that it could take six months. So my dreams are fairly turbulent at the moment. As for those who resent the rose bushes, it might be envy, but I expect not. I suspect it's more a genuine concern for safety but maybe a little over zealous. Why is it that threats from the natural world (plants gone mad, mutant insects etc) are FAR more sinister than threats from other sources (like aliens and creatures from black lagoons)?? The roses, River – there are several varieties – that straddle the fence, are probably David Austen roses with the odd rambler thrown in. They are extraordinarily hardy given the ravages of the drought. I'm not the rose expert here, but I answered the front door the day the council representative came to visit, so I suffered the brunt of criticism, which was not so extreme I might add. I can imagine another blogger writing about the horrible people who let their fence lines get overgrown and thereby cause havoc for the unwary passer by. Everyone would empathise with her/him in that situation. I'm inclined to see it from both perspectives, but mine is the one I present here. It's a sad day indeed when people complain about the 'menace' of roses over a fence! The car reversal dream seems, in my limited first year pyschology understandings, to be one of worry. People *are* managing to go around you and nobody dies but something is niggling away at you. My recurring dream is one of trying to get an important message delivered to someone, but being waylaid by others or obstacles and never reaching the destination. I'm not so good at the mechanics of cars, Who. It sounds as though are: if it were not a dream, you could help fix my car. But given that it was a dream, the best I can do is try to learn from it and move ahead. Thanks for the offer to help, Dusty Who. Day of the Triffids is one of my all time favourite books. I've seen most of the dramatisations of it too. I even read the "authorised sequel" Night of the Triffids (written by somebody else)- which was not as good as the original but an okay read. I'm scared of heights – so any anxiety dreams I have involve being trapped outside at the top of a skyscraper. Our triffids get small yellow flowers, Frances, though they could well be cousins of your triffids. I have been told ours is a legitimate, though somewhat old-fashioned, plant, which was once popular in gardens around Melbourne. Something floribunda…floriana…I can't remember. As for the magpies, I'm fond of them too, and I'm sure they are intelligent, like so many other animals in our world. I gather that people sometimes paint eyes on the top of their hats as a deterrent or a sign to say I'll leave you alone, or maybe I'm watching you…. Mine was a childhood memory essentially but the magpies still swoop occasionally near where I live in springtime. Thanks for the offer to trim the roses, Isabel. It will be done and soon enough. We have a friendly gardener who helps us out, but as you say the summer months are filled with difficulties. Holidays and returns to school and to work bring additional stresses and strains as much as it's meant to be such a jolly time. As for my dream, it's the tip of the iceberg. I have had some doozies lately and all of them about disruption and a struggle to get back onto the straight and narrow. I'm still waiting for the results of my thesis and it may be more unsettling than I like to let myself know. One day soon hopefully things will settle down again. Perhaps we expect the natural world to obey us, Red, or at least to adhere to certain expectations and principles but then when it goes out of the so-called natural order, it's a bit like your lovely mother turning into a witch. It's not supposed to happen. I suspect we all have such nagging recurring dreams, Kath in which we can't get things done. Another of my regulars is the one in which I'm trying to get help from the police and I can't get through. I can't find the phone or dial the numbers 000. It's a similar theme it seems to me. Where's the help when you need it and why can't you get to where you're going. If only life allowed us to go back and correct the mistakes that we have made. My dream car always flies off of bridges high above the water. "Here I go," I think. "This is it." Jim Murdoch can't see the logic in making DAY OF THE TRIFFIDS in 3D. Well, it makes a little more sense than THE GREAT GATSBY, which I hear they're also making in 3D. The movie THE BIRDS ends somewhat more optimistically than the print version. More ambiguously, anyway. Red Nomad Oz commented that movies where monsters come from the natural world are more scary than something made up, like men from Mars. Though he's sometimes referred to as a horror director, Alfred Hitchcock pretty much stayed away from science fiction or the supernatural. THE BIRDS was, to my knowledge, his only foray into the fantastic. And you never do find out whether it's science or the supernatural that's driving the birds to attack. Hitchcock once gave his reason for making the film in an interview, and it's similar to your response to Red Nomad Oz, Elisabeth. Great minds think alike. I never dream of my car going backwards, but frequently going forward very, very slowly, almost to a crawl. I am new to your blog but I am instantly hooked. Any one who likes Triffods is in my estimation a superior human being. The 1962 movie was one of my all time favorites along with To Kill A Mockingbird and Nacho Libre. Ok. I am eclectic. So what. Being trapped on top of a skyscraper, Plastic Mancunian sounds scary indeed. It reminds me of what I call my 'lift' dreams when I find myself in a lift either rocketing upwards almost out of the top of the skyscraper or plunging down to the basement. Scary indeed. I think enjoying the Day of the Triffids dates us. My kids have only heard of it through me. But who cares, it's still a great read. Thanks, Plastic Mancunian. It would be good if we could go back for a second time and correct those mistakes, Cheshire Wife, as you say. It would make for easier living but then would we try as hard in the first place? The multiple near-deaths we survive in dreams, Ms Moon, are amazing but as you say we wake from them. Perhaps we could consider them as practice for the real thing, after which we won't wake up. To me that's both a comforting and a discomforting thought. I've not yet seen anything in 3D Kirk, but I can imagine it. I think I'd enjoy some aspects of but something tells me I might feel a bit nauseous at times. As for the Great Gatsby in 3D, now that's something else again. As for alfred Hitchcock every time I have a shower when I'm alone in the house I think of the trailer scenes from the movie Psycho, which I've never been able to bring myself to watch. Hitchcock was clearly a great director who made a huge impact on the movie world for all time, especially in the genre of horror and suspense. I've had enough traumatic experience in my life not to want to look for it gratuitously, though I know I can't avoid it in real life. You are indeed eclectic in your tastes, Secret Pepper Person, but no one should hold that against you. I'm eclectic in my tastes too , at least my children tell me so. It's lovely to see you here on my blog. 'Day of the Triffids' is a very strong school memory for me as well, Elisabeth. I even recall our art teacher using it as a subject for one of our marked pieces and English and Art were my two favourite subjects. I have a number of recurring dream themes, finding myself naked, losing my footing, screaming soundlessly etc. The usual strange stuff that would appear to be quite self explanatory, but the one that bothers me the most is coming across a sign or important piece of writing and the letters constantly move and change shape. I even try to fight waking up because I'm sure if I just concentrate that little bit harder I will be able to read it. It is especially strange as I cannot remember a time when I couldn't read and it baffles me. Sometimes I think that dreams are foreshortened versions of life although I must say I'm always aware when I'm taking two steps forward and five steps back and occasionally making no progress whatever. My father told me to beware of magpies because they are attracted to shiny objects – and eyes shine, don't they? I love them and am always pleased to see them in the garden – such amusing, intelligent, handsome birds. They mate for life and where there is one there will be another nearby. I'm glad your meeting with Isabel was enjoyable. Meeting someone you almost know always carries a measure of apprehension. You sound as if you have lived a life in terror of these purely fictional plants. Okay your roses are growing vigorously just now what a shame a/some neighbours can't enjoy their beauty and just step around them for the time being without ringing the council into it. The Birds too du maurier is responsible for so much. Sleep well! fancy that- complaining about roses!!! Clearly they have got too much time on their hands or they have had bad breakfasts or a pebble in their shoe…! We have a beautiful weeping birch that grow by the walk- the branches grow out over the walk so we cut an arch which was really nice for a bit of shade. NOPE, had to cut it all back because those are the RULES!!! Bleah!! I can speak fluent French, but wake to remember none of it, or when I encounter a word that seems new to me and I wake believing I do not know the meaning, as if in my dreams I know more, or sometimes less than in my waking life. The word 'phalanx' once cropped up in a dream. I did not know its meaning when I first woke. Only later did I discover with the help of the dictionary its precise meaning. Until then I thought I'd made it up. Shiny eyes attract, Janice. I suspect that's true, but the eyes people paint on top of their hats as a deterrent are probably flat caricatures of eyes. And I gather they work. Rather like those plastic owls we see around our neighborhood these days. They're suppose to scare off the pigeons. I prefer an unruly garden Janice and I suspect your garden is one I'd enjoy, if only for its unruliness. I do not like perfect lines except in computers or machines where they may be necessary. The plants don't terrify me so much as they annoy me -the way they take up more water and don't leave enough for some of the plants I'd prefer to see thriving in our garden, Cuby poet. And Daphne du Maurier – all I can say, what a writer. Thanks Cuby Poet. Those rule bound folks who enjoy absolute order can be like a pebble in the shoe, Linda Sue, but what can we poor unruly folk do? We are helpless against them. Although, as I think I said earlier, the council guy was sympathetic and not too demanding, despite the complaints. It's all in the personality. Interesting how the things we are most afraid of – on a very primal level – go for the eyes. The idea of nature turning against us, too, is unnerving. Stuck in reverse sounds frustrating, and to add to that traffic coming towards you – well, that's very terrifying indeed. For years I dreamed of my car overheating, watching the temperature gauge climb steadily upwards – but that's because I had actual car problems. Any car problems, Elisabeth? I walked into a low hanging branch and gave myself a concussion once. Even though it was my own stupidity, a few months later when I hiked the same trail and came across the same branch, I carved my initials into it. Again – primal – "you will not beat me" and all that, I suppose. I walked into a sign that hung low too, Tracy. I was pregnant at the time as I recall and it was horrible, totally unsettling for awhile. No car problems at the moment. Actually that's not entirely true. I had to have the car re-aligned recently because one of the weights had fallen off and the steering wheel shuddered at high speeds, but I knew what was wrong and I knew it would be easily rectified, which it was. And yes, the idea of nature and cars turning against us is terrifying. I – too – have this car in reverse dream, Elisabeth. You describe it exactly as I experience it, and I always wake up frightened and have no idea how to stop having the dream. A question: Do you look back a lot of life and do you think the dream is a representation of that practice? This is how I explain my recurring nightmare. Safe travels while you sleep. Sorry to take so long to get to your question here, India. Do I think the dream is a representation of my tendency to look back over my life? Could be, but I suspect there's more to it than that. I think it's more a reflection of my state of mind at particular times. This was one of those times when I was feeling especially stuck, less so now, but I'm sure I'll dream the dream again and it will coincide with other states of stuckness or similar feelings.